Charset Crafting is a set of Charset modules dedicated to the art of crafting. As this module is a work in progress, behaviour may still be tweaked slightly. As always, each of the modules can be enabled or disabled manually in modules.cfg. burn mobs which fall into it if lava is stored. As such, it also includes new liquids - dyed water and liquid potions. More features coming soon! MineTweaker functionality is also provided for defining custom recipes, and is documented here. 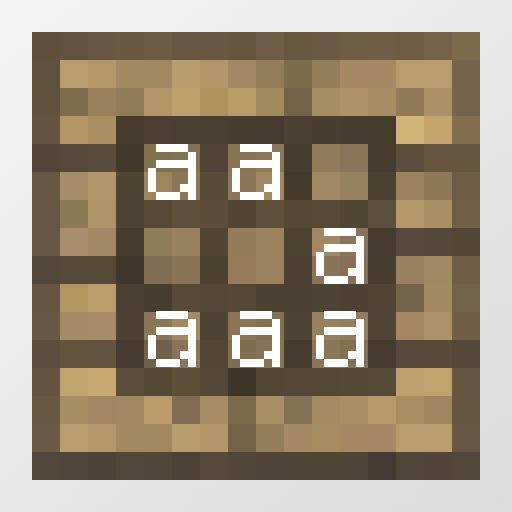 This submodule introduces the Compression Crafter - a multiblock structure which, combined with Charset's Barrels, lets you perform automatic crafting operations. This submodule introduces the Pocket Crafting Table - a way to re-use some of your inventory's slots as a handheld 3x3 crafting grid, complete with a few utility buttons for common operations. Project icon utilizes Unity textures by CyanideX. Is there a changelog somewhere I can't find? On the Charset Lib project. Great utility. Minor grievance: Is there a way to remove the weird warpey bounce on the auto crafting? Maybe use like a click/smoke particle instead? That's a little out there to me. Also, is it vertical only, or can you place them end-portal-wise? In-world autocrafting I think is the ideal way to do it, though I can't decide whether I like this arrangement or how Structured Crafting arranges things, though I kinda like how well suited they are to chaining and redstone contraptions and such. Also, how configurable? You're always really good about that, but just checking. Not a huge fan of portable inventory crafters personally, and autocrafting depends on the pack. ...Just some thoughts. I aspire to code as cleanly/configurably/well-documented/compatably is folks like you, vaskii, or lemon etc. do. Minor grievance: Is there a way to remove the weird warpey bounce on the auto crafting? Maybe use like a click/smoke particle instead? That's a little out there to me. Not the first to request it! I probably should, but there will still be a squish regardless. You can disable modules on a per-feature basis; there isn't a whole lot of configuration beyond that for... reasons. I'm trying to add dyeing recipes for beds, carpets, banners, etc. but I can't figure out how to do this as there is only <liquid:dyed_water>. How do I derrive a color from that? How do I assign black dyed water here? For dyeing recipes, a better approach may be perhaps to add crafting recipes that use dyes - the Cauldron performs a fake crafting operation anyway. If you want to keep them cauldron-specific, you're going to need to find a way to add fluid NBT, and I have no clue how to do that in ZenScript. Or I can add a way to return a fluid of a given dye color in ZenScript, if you want. Thank you for the offer,but I decided to go with Inspirations which adds colored water for each color. In part as it also works with the wooden cauldrons from "more cauldrons"mod and because it has carpeted trapdoors. Oh, my mod also adds colored water... it's just not exposed to the end user yet as I had issues with implementing buckets. As for the other features, well, alright! They're indeed not ones I have. Are multi-ingredient cauldron recipes supported? For instance, if I wanted to change all soup and stew crafting to "put water in cauldron, throw ingredients in" instead of using a crafting table? Not yet, but they are planned. Potion tooltip is repeating with vanilla, hope you could give a switch to turn off Fluid information. Huh. I didn't think of that interaction. I'll look into it. I've found the Cauldron Module, particularly with CT Integration to be extremely useful. In fact I've found a lot of Charset Modules to be useful so I'm passing encouragement along in hopes you stay motivated to continue the project. I do have a question though if you don't mind. In the Cauldron I tried mixing Pink and Purple to make Magenta as you would with the item based dyes, but I couldn't seem to create Magenta. I tried with one Pink Dye and one Purple Dye all the way up to four parts each with no usable result. I can of course just make the Magenta dye and put that in, or possibly even fix it with CT. I just wasn't sure if this was something you'd have possibly overlooked or intended to do. It's complicated, because - to the best of my knowledge - crafting leather armor with one pink dye and one purple dye will give a different result than crafting it with one magenta dye. I could perhaps add a "stirring" mechanic (right-click with stick) to mix dyes in this fashion.